Econoclean was purchased by John and Marion Harte in October 2004. 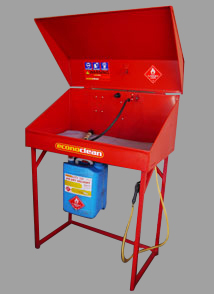 In the time we have owned Econoclean a lot of effort has been put into the reliability and presentation of our machines, particularly partswashers. 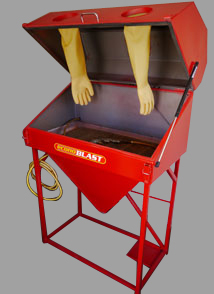 We have developed our own hotwash machines and new to the market is our hotwash-mini for the smaller workshop and budget. All developed and manufactured at our workshop in Te Puke. We continue to work on environmental issues and sustainability. Waste solvent from our partswashers is now recycled at our facility and concentrated contaminants stored for later disposal at an approved treatment facility. Econoclean, as an additional service to its clients, offers a spent oil filter collection service. 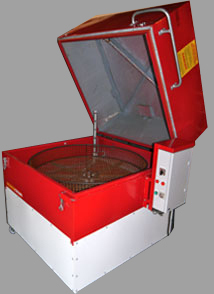 Filters collected are processed in a purpose built device. 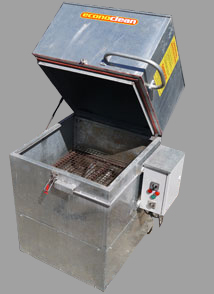 The 100 tonne compaction force generated in the device ensures that most of the oil trapped in the filters is removed. The waste oil is recycled through approved channels while the steel brick formed is disposed of through a reputable scrap metal processor. Talk to us to see how this service can be of benefit to you. Our aim is to provide the best service we can to our customers so they in turn can provide the best service to their customers. We are user friendly and you can ring us on (07) 573 7207 and talk to us about a cost effective option for your workshop. With jobs, resources and money staying in NZ. WE ARE USER FRIENDLY AND WE DO IT BETTER THAN ANY BODY ELSE.